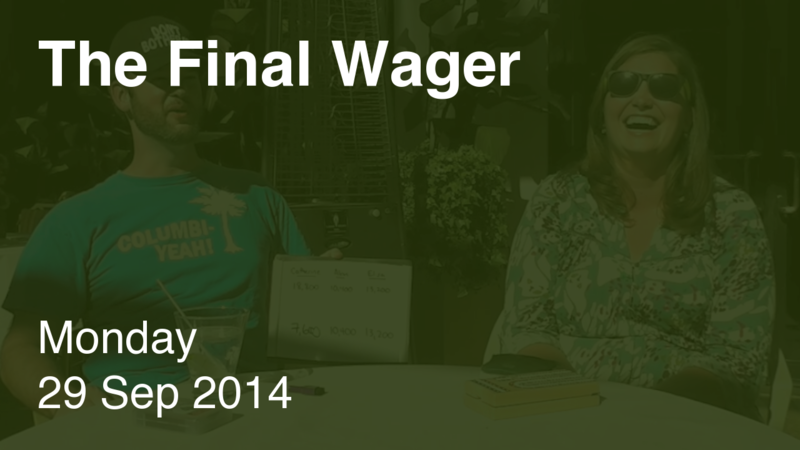 “Hugh Downs” and “Barbara Walters” take over this special edition of 20/20: The Final Wager. Catherine went big at the right time with a Daily Double, but it looks like she didn’t memorize her African capitals! She would have had the lock had she gotten it, but she’s still in the lead. Catherine should wager 7,600 to cover Elisa. Elisa can wager up to 2,000 to stay above Catherine if they’re both wrong. Alan is still alive, but must get it right, so he should wager everything. 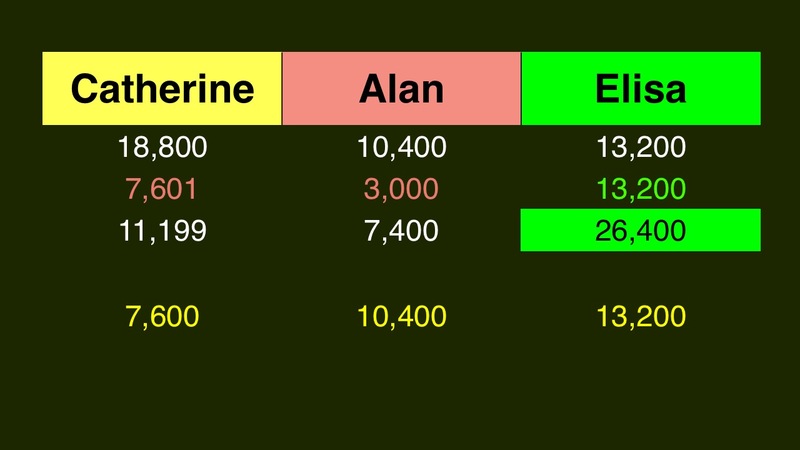 Elisa needs to wager 7,600 to top Alan – but since she’ll lose to Catherine if she gets it wrong, she might as well wager everything. This situation is called Stratton’s Dilemma – second can either (1) wager to cover third or (2) wager so as not to fall below first, but not both. There’s not much of a dilemma here, however, since Alan should wager everything. Alan didn’t wager everything, however, but that’s ok, as Elisa correctly went for broke and was the only player to respond correctly. It’s only the fourth time since the five-game limit was lifted in season 20 that co-champions lost to the sole challenger. As for Catherine, she was back to adding a dollar to her wager! No love for the tie.